Awnings provide a sense of elegance that can make an ordinary business or home look exceptional! 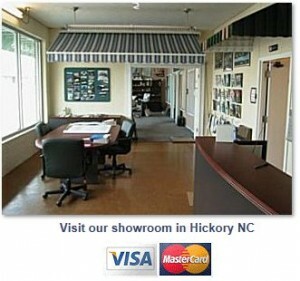 Annas Awning in Hickory, NC has been serving western North Carolina for over sixty years and four generations. Our family is known for making top quality awnings and canopies and for our outstanding customer service. Our employees have many years of experience, and help us provide you with the best quality products and service. When you choose an awning company, consider the value of that experience, and know that we are going to be here when you need us. We are constantly investing in new technologies to continually improve our products and make the best awnings possible. Annas Awning offers residential and commercial awnings, lattices, umbrellas, window fashions and much more! Learn more about the benefits of awnings and how to choose the right style by clicking here. For an estimate on your project, please call or email us to set up an appointment. Feel free to visit our showroom, but if it's more convenient, we will come to your home or business to measure for your project. We will bring swatches, samples and brochures, and give you an estimate on site. 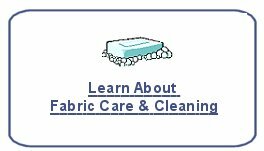 Browse our website and then let us know if you have questions or need more information about our products or services. We look forward to hearing from you!